Last year Deborah went along to the Carluccio’s Christmas in July and got to try all the new Christmas collection before it hit the shops. This year, we somehow missed the preview, but despite that, I was pleased to discover that the Christmas Pixies (Italian Division) have been hard at work all summer creating some brand new goodies which will be in the shops very soon. Over 20 years ago, Antonio and Priscilla Carluccio, driven by a genuine passion for artisan Italian produce, began sourcing and carefully curating the very best products from the length and breadth of Italy. It is this passion that continues to drive Carluccio’s – to this day they never use a middleman, but deal directly with specialist producers to bring you, quite simply, the very best of Italy. 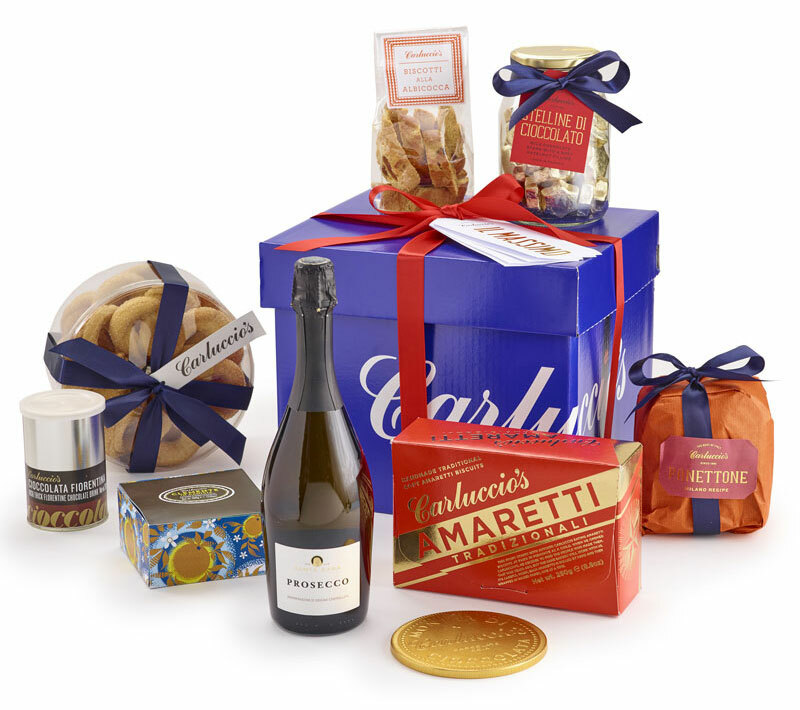 Carluccio’s Christmas collection tells the story of its unique suppliers and their dedication to their craft; from family bakeries in Veneto and Genoa to farmers in the hills of Piemonte and clementine growers in Calabria. 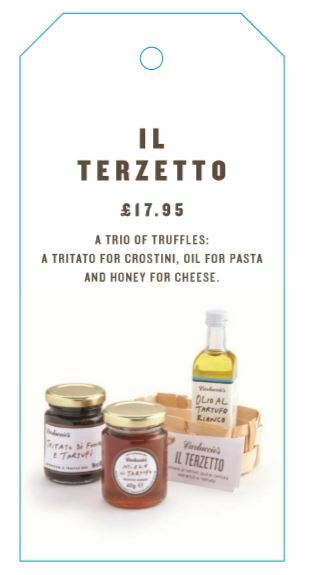 As well as those hero products that are a must-have at Christmas, Carluccio’s bring you its largest range of Oanettone to date; from the most traditional, to prosecco cream-filled and limoncello-spiked varieties and, thanks to the success of the launch last year, a gluten-free option. But this year there are also a whole set of new product launches – and I have to say they sound very tempting. 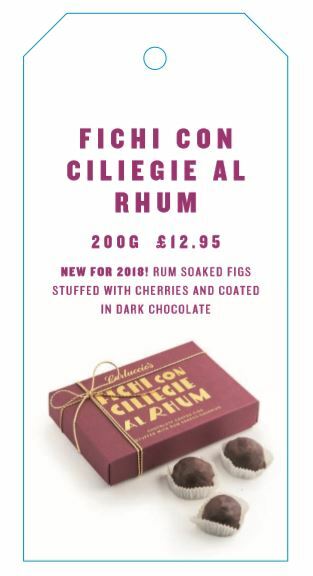 How about Calabrian figs soaked in rum and stuffed with candied cherries before being double coated in dark chocolate – Fichi con Ciliegie al Rhum (£12.95) if you prefer. Either way, I’m definitely putting them on my Christmas wish list to Santa. 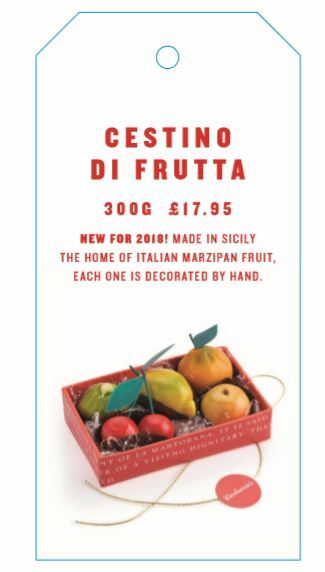 Or there are some delicious looking Sicilian marzipan fruits – Cestino di Frutta (£17.95). They are the sort of thing you wouldn’t dare put into a bowl too early before Christmas because they’d just disappear! There’s still a PANDOLCE (300g, £10.95) An aromatic ‘sweet bread’ made in a family pasticceria in Genoa since 1780. A real labour of love, not only do the bakery make the cake, they make the ingredients too – grinding the sugar, candying the fruit and roasting the pistachios. Not only was it exquisite we were taken by the story of its origins and that it is still made today in the same place. 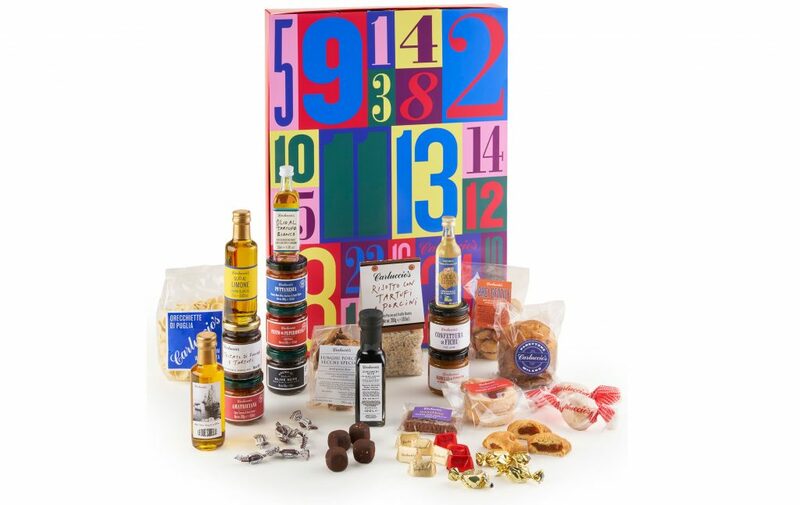 For a delicious countdown to Christmas, this limited edition luxe advent calendar features quintessentially Italian products from Carluccio’s core collection. Just some of the treats behind the doors include limoncello chocolates, truffle butter, aged balsamic vinegar, torrone pieces and porcini oil to name but a few. I was given a box of the Marzipan Fruits (Cestina di Frutta) for Christmas, and it was a really embarassing experience. These are quire the most disgusting marzipan fruits I have ever tasted — imagine flour paste with a vague taste of almond and you won’t be far wrong. Trying to express gratitude for the gift was a struggle — especially as I’d greedily picked one of the larger fruits and had to force it all down with a smile.